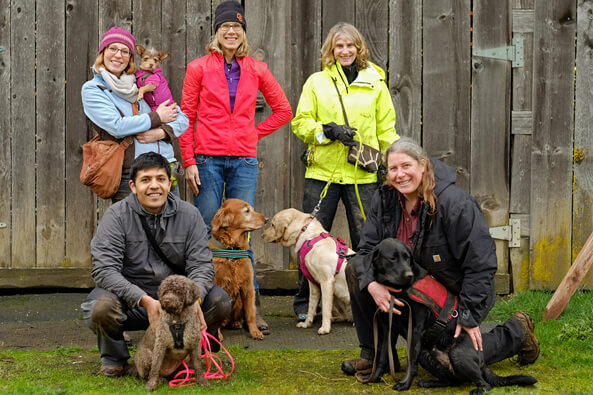 Now in its fifth year, the Eugene Weekend of the 2019 Oregon Truffle Festival kicks off with The Joriad™ North American Truffle Dog Championship. 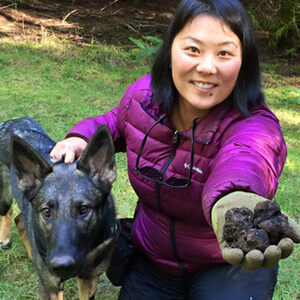 At this family-friendly competition, spectators cheer for America’s most talented truffle dogs and their trainers as they compete to find hidden truffle-scented targets. Round 1 Competition: Lane Events Center Large Animal Arena, Eugene. Witness some of the world’s most talented truffle dogs as they compete in the 5th annual Joriad™ Truffle Dog Championship. The Joriad™ begins in the morning with a series of qualifying events where spectators can cheer on the dogs as they race to find hidden truffle-scented targets. Finalists are announced at the end of the morning’s qualifying events. No dogs except those entered in the competition are allowed in the venue. The morning’s finalists will advance to the Joriad™ Field Trial the afternoon of the 24th for head-to-head, nose-to-ground action in the wild. Out here, nature alone determines location, variety, and quantity of rare Oregon truffles. Because truffle hunting in the field does not lend itself to spectator participation, this event is not open to the public. Instead, ticket holders are invited to attend the Awards Ceremony and Parade of Dogs that evening in the Hilton Lobby.